The show is based on the 1980 novella of the same name written by Game of Thrones author George R.R. Martin. It stars Eoin Macken, Gretchen Mol, David Ajala, Bronte Carmichael, Phillip Rhys, Sam Strike, Maya Eshet, Angus Sampson, Jodie Turner-Smith,Miranda Raison, Gwynne McElveen, Andrea Dolente, and Brían F. O’Byrne. Among the directors who helmed episodes for the first season is Andrew McCarthy, star of ’80s titles like St. Elmo’s Fire, Pretty in Pink, Weekend at Bernie’s, and of course, the great Mannequin. His credits behind the camera include Gossip Girl, Orange is the New Black, and The Blacklist. It’s based on the Image Comics series of the same name created and written by Rick Remender, who also co-created the TV series along with Miles Orion Feldsott. It’s executive produced by Anthony Russo and Joe Russo, who directed Captain America: The Winter Soldier, Captain America: Civil War, and Avengers: Infinity War for Marvel. They’ll direct the upcoming Avengers 4 as well. The cast includes Benedict Wong, Benjamin Wadsworth, Lana Condor, Maria Gabriela de Faria, Luke Tennie, Liam James, and Michel Duval. Nightflyers will premiere this fall, while Deadly Class will make its debut sometime in 2019. From the mind of George R.R. 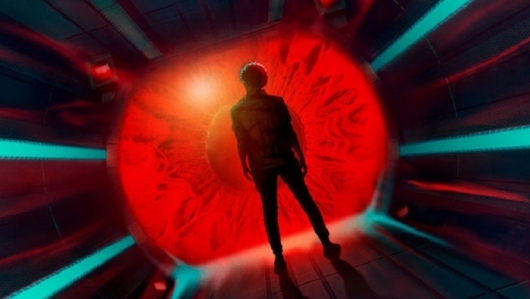 Martin, comes the psychological thriller, Nightflyers. Premieres this Fall on SYFY. Produced by the Russo brothers – and based on the best-selling graphic novel – Deadly Class premieres on SYFY in 2019.